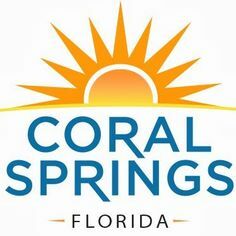 We cannot be happier for those who are moving to Coral Springs, or to any part of Florida. You are on the website of the most trusted, the most efficient, and professional moving company in the region. We are happy to represent your moving needs, and help you change your location without any headaches. Unparalleled on-time arrival and drop off; If we say that we will be there at noon, you can expect us no later than this time! Our Coral Springs local movers know this city better than anyone else. We are aware of the traffic, parking and zoning restrictions in every city we serve. Our company knows Florida better than any other moving services. We never hide any costs from you and never charge you more at the end. Our Flat Rate means exactly that, and you have our word for it. Easy Florida Moving offers professional packing supplies for our customers. There will be no ripped boxes than break under this type of weight. Our incomparable Customer Service Team is ready to answer any of your questions at any time of the day. Easy Florida Moving employees can handle any type of moving – from cross-country to local relocations. We also specialize in the moving of offices and large companies, as well as residential moving. When it comes to leaving you completely hands-free from your move, we are unmatched. Our professional Coral Springs packers take care of all the loading/unloading, packing/unpacking, labeling and personalizing your belongings. Coral Springs’ licensed and insured movers will take care of any hard-to-move specialty items, like pianos, mirrors, glass objects, art pieces, and others. Unlike other moving companies, we offer Coral Springs’ furniture delivery and its assemblage. Also, you will not have to take anything apart; we will take care of disassembling everything as well. With years of experience, access to valuable resources, and, most importantly care for our customer’s belongings, we can relocate anybody, no matter how hard or easy the move might be. Easy Florida Moving is constantly making sure that we offer the best and most affordable service that will leave you happy and make your life easier. To learn more about the variety of services we offer, you can contact one of our moving specialists. We are going to make sure our services will work for you and meet your expectations! Give us a call and get your free Flat Rate quote today!